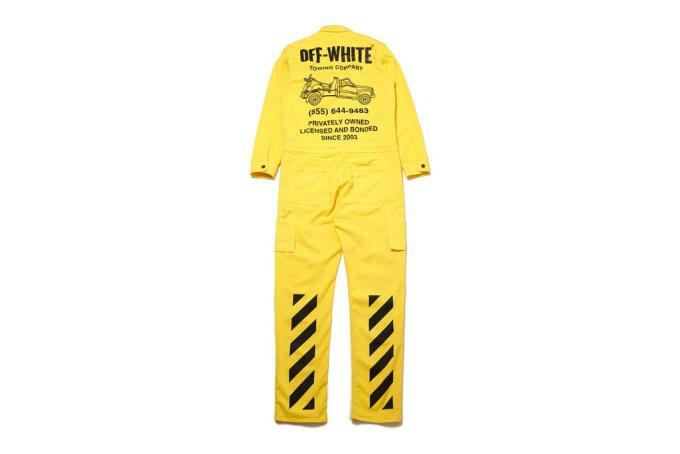 Virgil Abloh and Hiroshi Fujiwara are back again with an exclusive capsule collection. 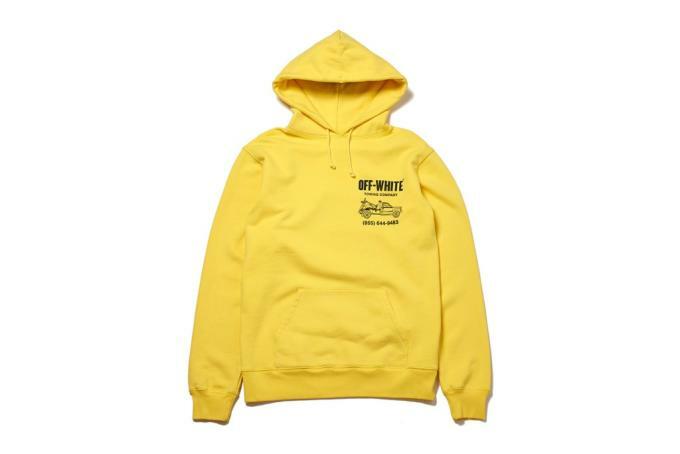 Following their collaboration on Off-Black, Off-White and fragment design have reunited to release a range for Fujiwara&apos;s new concept store THE PARK・ING GINZA. 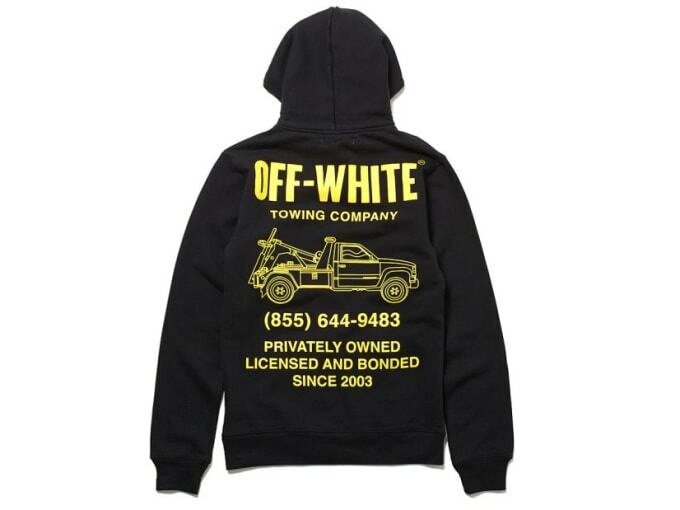 The black and yellow pieces include hoodies, jumpsuits, and tees featuring graphics that reference a fictional Off-White Towing Company and Abloh&apos;s signature diagonal lines. 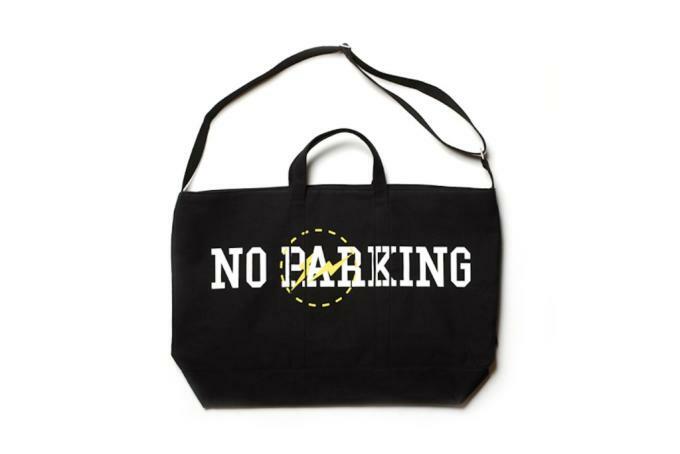 There&apos;s also a small selection of accessories like a pair of socks and a tote bag emblazoned with the words "No Parking" and the fragment design logo. Fujiwara opened PARK・ING GINZA in Tokyo last month. The new space is much like his previous concept shop the POOL and will house several collaboration collections, as well as record store and café. 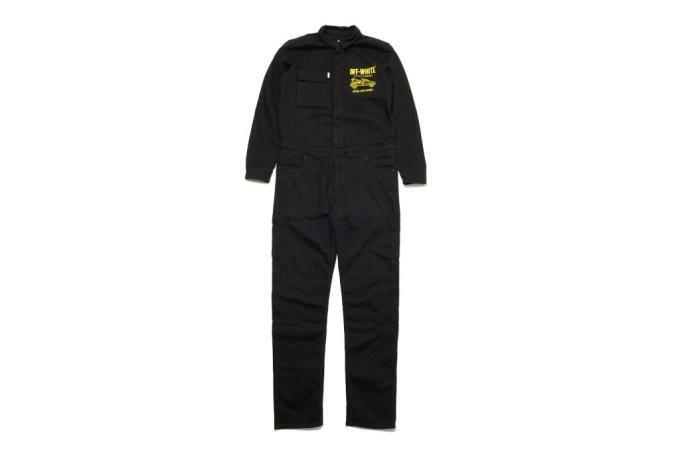 You can shop the collection now at PARK・ING GINZA&apos;s online shop.